Okay gang, I’ve given you ample time to read Blackest Night #3. Issue #4 is scheduled to be released on October 28. Let’s get down to some speculation about Firestorm’s fate after Blackest Night. 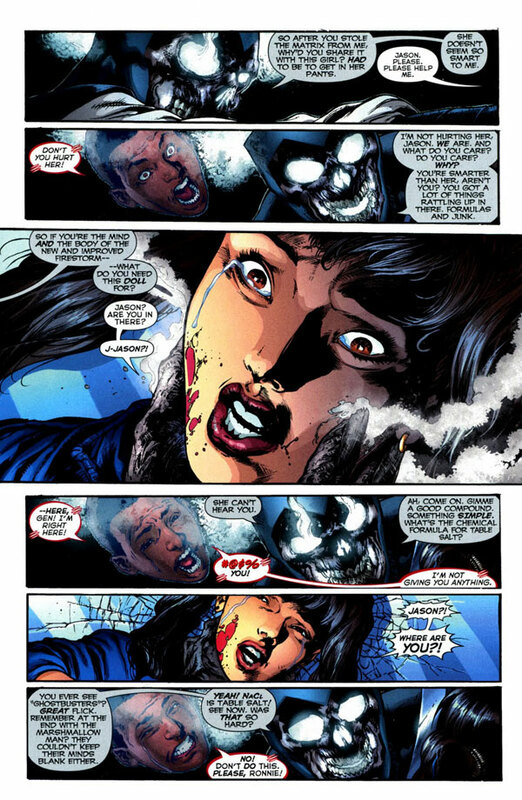 Be warned… there be SPOILERS ahead for Blackest Night #3. Professor Martin Stein is no longer missing. After a couple years missing, he appeared in Blackest Night #1 with no explanation, as if he’d been around for a long time. Firestorm is not a member of the new Justice League of America roster. He may be eventually, but nothing is confirmed and it won’t be for a while. So what happens after Blackest Night is all over? Probably the biggest question right now about Blackest Night is whether these Black Lanterns are actually the spirits of the characters that died, or simply something evil animating their corpses. My belief is that it’s some evil force taking on characteristics of the characters, but not truly the original characters themselves. From a storytelling perspective, there is almost no way to redeem characters like Black Lantern Elongated Man or Black Lantern Firestorm for what they’ve done. 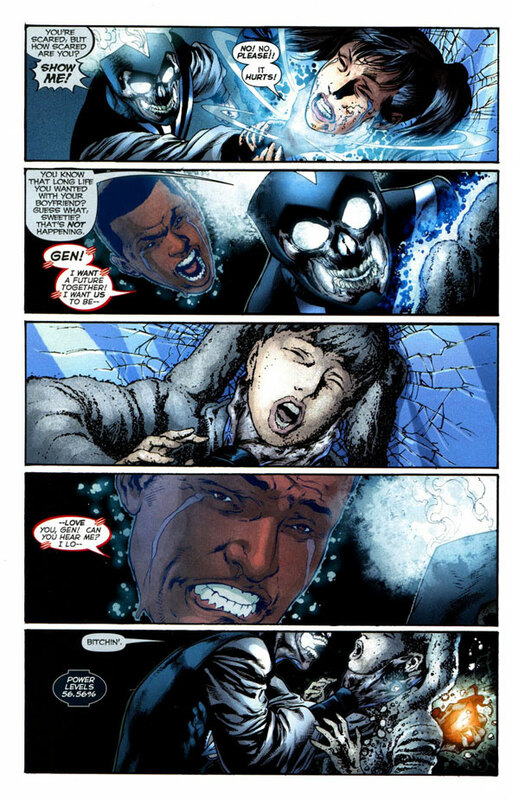 So it would make more sense if the Black Lanterns are some evil spirit possessing the deceased heroes’ bodies. Therefore, I don’t believe Black Lantern Firestorm is actually Ronnie Raymond. However, I do believe the real Ronnie Raymond will return to life through some means during the Blackest Night mini-series. Not sure how it will happen, but I suspect it will. Another question, will there be a superhero called Firestorm when this is all over? I believe so. Geoff Johns (writer of Blackest Night) is a fan of Firestorm and I believe part of the reason he’s breaking down Firestorm is so that he can rebuild him better than ever. Additionally, there have been rumors of Geoff Johns writing a secondary JLA monthly book sometime in 2010. Given Johns’ interest in Firestorm and the major role he’s playing in Blackest Night, it would make sense if Firestorm is a member of Johns’ JLA (whatever incarnation of Firestorm comes out of Blackest Night). A merger of Jason Rusch and Ronnie Raymond. If this happens, its possible Jason and Ronnie could alternate who is in charge of the Firestorm body, thus changing the appearance of Firestorm back and forth between the current Firestorm and the classic Firestorm. This may sound far-fetched, but they did it in the early issues of Firestorm vol III when Ronnie and Jason were merged for a brief period. Additionally, from a business sense DC/Mattel is releasing three Firestorm action figures coming up – two in the classic look, one in the current look. Since they’ve got new figures planned for both likenesses it seems feasible that both would be used in the comics as well. A merger of Jason Rusch and Professor Martin Stein, similar to their partnership in Firestorm vol III just before One Year Later. A merger of Ronnie Raymond and Professor Martin Stein. A return of the classic Firestorm. A merger of Jason Rusch, Ronnie Raymond, and Professor Martin Stein. A bit unwieldy, but possible. Two separate beings called Firestorm. These two beings would be made up of some combination of Jason Rusch, Ronnie Raymond, and Professor Martin Stein. This also seems unlikely, but Geoff Johns has been a long supporter of multiple superheroes with the same name. He’s been working on Green Lantern and Flash for years, and he recently introduced a second Wildcat in JSA. So it seems possible that Geoff Johns wouldn’t be opposed to having two Firestorms running around the DCU. Alternatively, one of the beings could be named Firestorm while the other being could be named “Phoebus”. 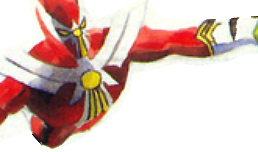 Phoebus was a character in Kingdom Come identified as “Earth’s newest fire elemental after Firestorm.” Geoff Johns’ spent a couple years paying homage to Kingdom Come in his final JSA run. So it seems possible that Johns might take ideas from Kingdom Come when rebuilding Firestorm. I’m sure there are more possibilities, but those are the ones that spring to mind right away. Personally, I think the post-Blackest Night Firestorm will be Jason Rusch merged with Ronnie Raymond. I’d much prefer Jason merged with Professor Martin Stein, but I don’t think that is going to happen. Share your thoughts here in the comments. What do you think will happen? For additional speculative discussion, you may wish to visit the Firestorm forum over on the DC Comics Message Board. Posted in: Blackest Night, Comic books, Firestorm #07: Jason post-Infinite Crisis, Gehenna, Geoff Johns, Jason Rusch, Professor Martin Stein, Ronnie Raymond. I think Ronnie’s destined to come back. If Johns is writing a second JLA, the Black Lantern roster would look real good as a foundation for that team. Good stuff. All these characters have massive followings and not one of them has ever had a real successful run as a solo character, save Firestorm. Are you sure Firestorm’s not in the current JLA? If not, he’s sure been doing a lot of “consulting” on this Royal Flush Gang fiasco. I think it’s very significant that, back before DC went with the present version of Firestorm, Johns has submitted a proposal where Ronnie would share the Firestorm persona with Doreen Day–since there’s nothing worse in life than sharing your head with your ex-girlfriend. I suspect that the Rousch/Raymond amalgam appeals to Johns because it’s a similiar set-up to the one he presented back in the day–namely, Ronnie sharing the amalgam with a character who’s anatognistic toward him. My thanks to everyone for the comments. Keep ’em coming! @Doug – Here is who I would expect Geoff Johns to put on his JLA team: Superman, Wonder Woman, Batman (Bruce Wayne, whenever he’s back), Green Lantern (Kyle Rayner), Flash (Barry Allen), Hawkman (post-Blackest Night), Aquaman (post-Blackest Night) and Firestorm (post-Blackest Night). @Shig – I’d rather have a Jason Rusch/Martin Stein Firestorm, but I think it’s inevitable for Ronnie to come back. I love Ronnie, but I think Jason and Stein would be more interesting. The Jason Rusch Firestorm has been part of the JLA since 2008. However, the most recent issue of JLA will be Jason’s last for now. Next issue there is a new line-up for the JLA without Firestorm. That’s what I was referring to. Sorry for any confusion. @Tom BITD – What makes you feel Ronnie is antagonistic towards Jason? The Black Lantern certain is, but I think the real Ronnie and Jason got along well in Firestorm vol III. I could see there being some tension with Ronnie knowing how to handle most situations (but being stuck in an advising capacity) while Jason goes about problems a different way (and makes mistakes). Just my two cents. In my mind, it would be Jason who would be antagonistic toward Ronnie–given how, you know, his Black Lantern self made him an accomplics in the murder of his girlfriend and all….I think Jason would know on an intellectual level that the Ronnie he’d me merging with isn’t the Ronnie simulcrum that killed Gen….but on an emotional level he might never quite get past it.